Beards Security has a wide range of replacement lock assemblies, lock barrels and parts to effect the repair of both hinged and sliding security doors. These also include triple point lock systems. Most repairs can be carried out on site. 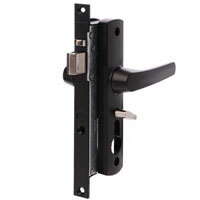 We also carry a wide range of glass sliding door handles & locks to suit all popular brands of past & current doors . In most cases Beards Security can also match your existing keys to a new lock if required. Contact friendly staff office for an obligation free quote.